How to configure Hotmail POP/SMTP Settings for Apple Mail? Hotmail provides top class email management features with customized email security features. Hotmail user can also send large size attachments across the server and high protection form spam emails is given. Hotmail user can change the text of emails and also can attach email signature with the outgoing emails. User can also create separate folder in the email account and also the emails are accessible using various other email clients. Apple user can configure the Hotmail account in the Apple Mail account with proper email syncing. Email server settings need to be done correctly for proper incoming and outgoing of emails. 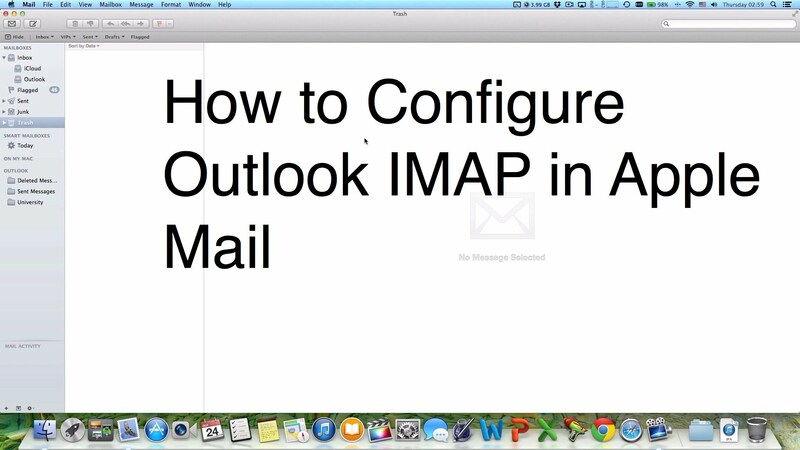 For that POP/IMAP settings need to be done correctly and this article will provide Hotmail configuration steps in Apple Mail. Open the Apple Mail account with correct login credentials and click on ‘Mail’. Select ‘Preferences’ and move to ‘Account’ category. Click on ‘+’ button and enter the Hotmail address under ‘Email address’. Under ‘Password’ type the Hotmail password and click ‘Continue’. Under ‘Account Type:’ select ‘POP’ and enter ‘Windows Live Hotmail’ as the ‘Description:’. For Incoming Mail Server, type ‘pop3.live.com’ and click ‘Continue’. For Outgoing Mail Server enter ‘smtp.live.com’ and make sure ‘Use Authentication’ is checked. Enter the ‘User Name’ for the Hotmail account and also enter the ‘Password’. Click on ‘Continue’ to move further. Now click on ‘Create’ and close the Accounts window. Hotmail account will be now correctly setup with Apple Mail. Facing any type of problem in Hotmail SMTP settings for Apple Mail? Visit Microsoft help portal for best email configuration steps.